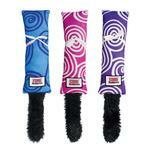 Cats will kick it in style with the KONG® Kickeroo Swirl Cat Toy! The KONG Kickeroo is a unique cat toy appeals to a cat's instinctive desire to stalk and capture prey. The Kickeroo size, shape and material were specially chosen to promote tackling, wrestling, and hind paw kicking. The generous size is ideal for all cats including large ones. Watch your cat pounce and wrestle this soft pillow toy and then kick at it with the hind legs. 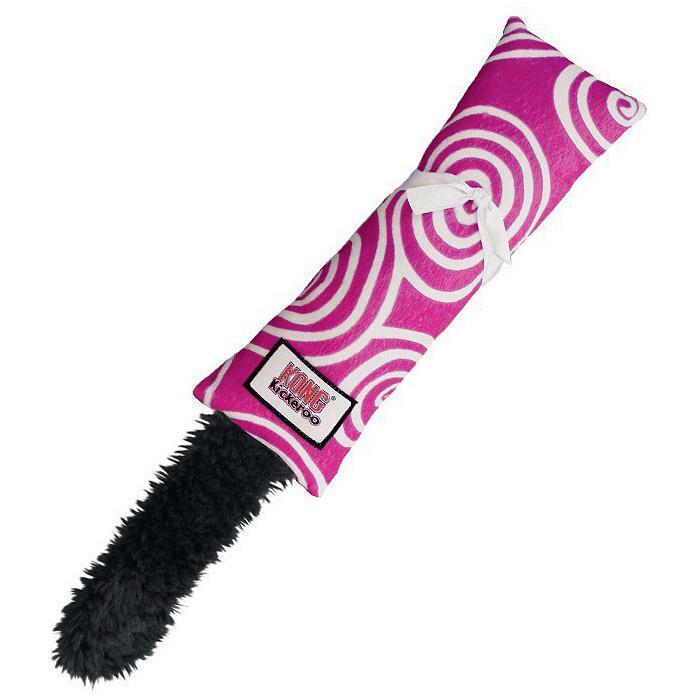 The fluffy tail provides movement and a light crinkle sound for extra excitement. As if that isn't enough, there is a generous amount of KONG's potent North American grown catnip that has been added inside to further encourage play. After your kitty is worn out from play, you'll likely find him or her all cuddled up with this generous pillow. Though the design is simple, your cat will likely find this to be his or her favorite new toy. Be sure to send in photos of Kitty with their Kickeroo cat toy. Your cat could be our next Pet of the Day with a chance to win up to a $250 BaxterBoo.com shopping spree! See photo contest rules for details. Absolutely satisfied with this company.